Resolution to your wildlife issues is our business. From one – time wildlife control services, to more formalized risk assessment and strategic controls, maintaining a healthy balance between wildlife and people in a dynamic natural environment is our goal. We take pride in knowing that our programs address your wildlife issues in a humane and progressive manner. Local or at a national level, all of our service staff and consultants are experienced, competent wildlife management professionals. Dealing with common urban wildlife issues locally, or more in depth assessments to commercial or airport sites world wide, our goal to resolve wildlife conflicts remains constant. 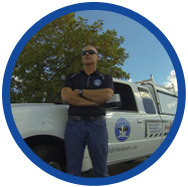 With more than 20 years of applied wildlife management experience across Canada, Michael von Kaitz is a Certified Goose Management Professional and Wildlife Control Specialist. He Leads The Wildlife Management Group Inc. in the development of strategic wildlife management solutions for local and national accounts, and consults with property owners and managers world wide. - Michael von Kaitz, Owner / National Consultant. 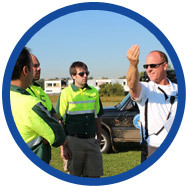 Continually gain and apply the knowledge required to provide our customers with strategic solutions to their wildlife management needs. To provide our customers with value proposition in every aspect of our service portfolio. Ensure the utmost integrity in all that we do, everyday, all the time. Experience you can TRUST. 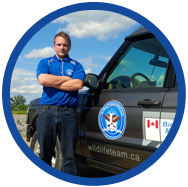 Our clients benefit from over 20 years of applied experience which has been instrumental in developing wildlife management and control programs from St. Johns to Victoria. Call us today, for peace of mind tomorrow 1-888-557-5855.